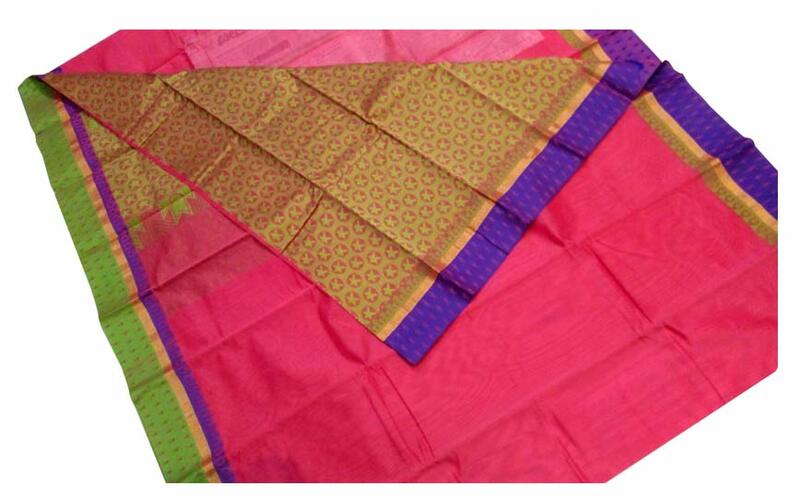 This Kanchipuram saree with Silk Mark of quality comes to you directly from weavers of Kanchipuram. The Cotton Silk kanchipuram saree is hand woven with natural silk and golden zari threads, pure vegetable colours add a unique luster to this traditional saree. The high thread count of silk fabric gives a sturdy and yet smooth and cool feel to the wearer. 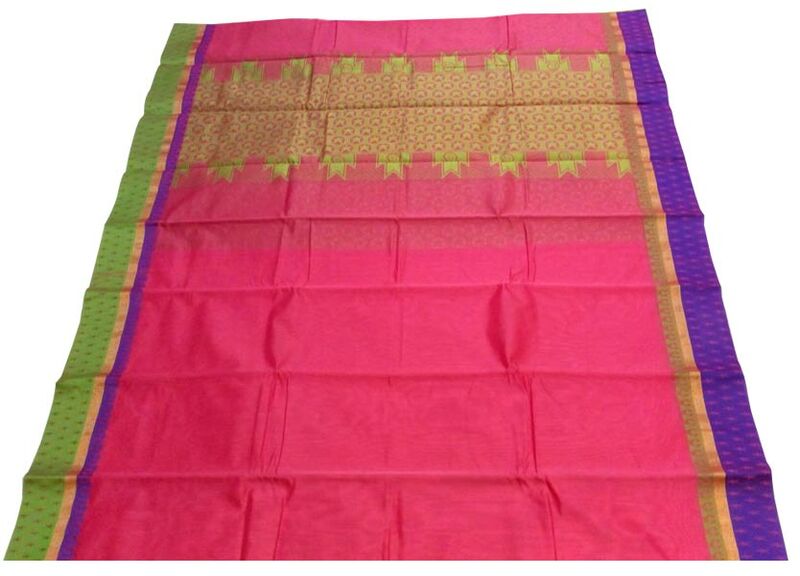 This radiant Pink colored kanchivaram silk saree with Floral design and attractive Ganga-Jamuna borders, with the pallu that is interwoven with tasteful designer work, is an ideal wear for all festive occasions in your life.